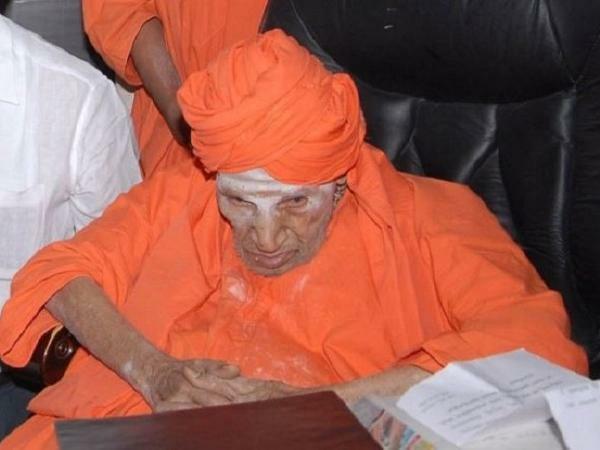 Dr. Shivakumara Swamy, the 111-year-old seer of Siddaganga Mutt, died at the Mutt in Tumakuru. Kannada Film Industry will remain closed as a mark of respect to seer of Siddaganga Mutt, who breathed his last. All film related activities including shooting, screening of films will be shut on Tuesday. President Karnataka Film Chamber of Commerce S.A. Chinne Gowda condolences that every section of film industry is in a state of mourning and every one whole heartedely agreed to close down their functioning for a day. Kannada film industry, has demanded posthumous Bharat Ratna for the seer. The 111-year-old seer of Siddaganga mutt, who was on ventilation support until recently, was brought back to the mutt on January 16. He was being treated for a lung infection which he developed after undergoing a liver bypass.